The cashless society in the UK took another step forward today as Visa Europe, Royal Bank of Scotland (RBS) and NatWest have launched TouchPay, a mobile contactless payments service for iPhone 4 and 4S. 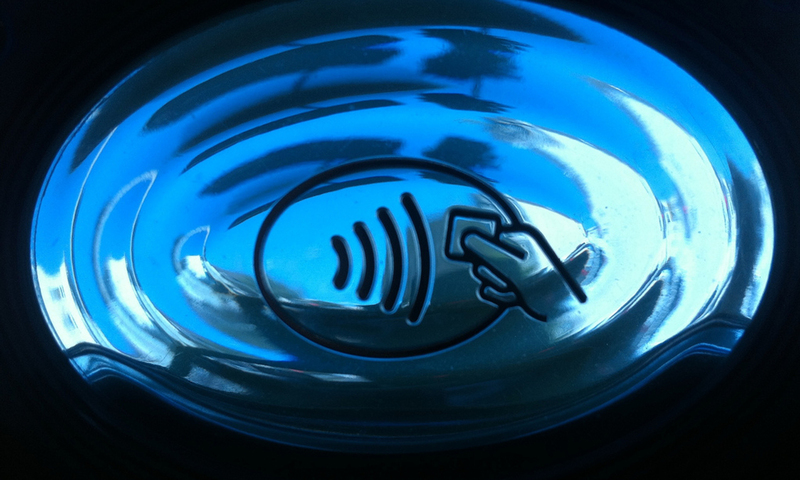 TouchPay is a near field communications (NFC) cover accessory. It will be initially available to the first thousand customers who have already registered to try it and will be made available to all RBS and NatWest customers who have their own iPhones in the near future. The trial has been pretty popular with the banks’ customers. Over three days, more than 9,000 RBS customers signed up to give the service a try. Just don’t lose your phone. TouchPay works by slipping the cover over your iPhone 4 or 4S (no 5 offering yet) and follow on-screen instructions to download the accompanying app from the App Store. iCarte, the NFC-enabled cover was developed by Wireless Dynamics, a Visa Europe technology partner. Once the whole thing has been set up, users can make payments of £20 or less at outlets that have contactless payment systems enabled. The system means that there is no need to enter a PIN and that spending through the application can be easily tracked and monitored by users. Some branches of chain stores and services should be able to accept the NFC payments including Caffè Nero, Burger King, Krispy Kreme, Crussh, Boots, Spar, Timpson, Superdrug, Slug and Lettuce, The Co-operative Food and WH Smith travel. The payment restriction means that there should be less room for huge system errors as the service rolls out and is tested in the wild. Hopefully beyond this, there will be more locations to use NFC as a payment alternative and if things go well and convenience breeds trust, we might see shopping change subtly in the way most people moved away from cheques to credit and debit cards.